I was still considered a new member when I first stepped into the Toronto Ontario Temple of the Church of Jesus Christ of Latter-day Saints. My husband and I were both baptized on different dates in 1988 while we were still dating in high school. In 1989, one year after his baptism, he served in the England London Mission. By the time he returned home two years later, he had become my spiritual giant. I didn’t think it was possible to love him more than I did before he left to serve his mission, but there I was…irrevocably and unconditionally in love with the boy I had met in grade 10, who was now a strong man in the gospel. My journey to the temple was not an easy one. Imagine trying to explain to your strict Catholic-Italian father that not only will he not be able to walk his oldest daughter down the aisle of his church, but that he will not be able to enter the temple to watch you be married either! That was my reality. Needless to say, it was difficult for both of us. I love my parents. They sacrificed much for my happiness, and my desire to be married in the temple was of utmost importance for both myself and my husband to be. Some may ask: “Why is temple marriage so important to you?” My family and friends, who were not members of the Church, did ask that question several times. To me, still being considered a fairly new member of the Church (only 3 years since I was baptized), it was difficult answering that question without going into the entire Plan of Salvation. All I knew for sure was that I loved my husband-to-be with all of my heart and soul and I did not ever want to be separated by the words “Until death do us part”. I wanted my marriage to be eternal…I wanted to share my life with my husband and future children in this life and beyond the grave eternally with God. I wanted nothing less. I fought for nothing less. “The Family: A Proclamation to the World” states, “Marriage between a man and a woman is ordained of God and … the family is central to the Creator’s plan for the eternal destiny of His children.” It also states that “The divine plan of happiness enables family relationships to be perpetuated beyond the grave.” In other words, the reason why we are here and what we are meant to accomplish is all tied to our belief that life is eternal and that sacred ordinances and covenants available to us in holy temples will make it possible for us to return with our families to the presence of God and live eternally with Him. This knowledge delivers to me a sense of immense joy and great comfort. For family relationships to continue after we die, marriages must be sealed together in the temple of the Lord by one who holds the proper priesthood authority. In the temple, there is no such thing as “until death do us part”. By choosing to be married, or “sealed” in the temple, as we keep the covenants we make therein, we are choosing to live with our spouse and family forever. Being able to attend the temple requires worthiness on the part of a baptized member of the Church of Jesus Christ of Latter-day Saints. It is the sacred house of the Lord and only those with pure intentions and faithful hearts may attend. President Gordon B. Hinckley reflected: “Was there ever a man who truly loved a woman, or a woman who truly loved a man, who did not pray that their relationship might continue beyond the grave? Has a child ever been buried by parents who did not long for the assurance that their loved one would again be theirs in a world to come? Can anyone believing in eternal life doubt that the God of heaven would grant His sons and daughters that most precious attribute of life, the love that finds its most meaningful expression in family relationships? No, reason demands that the family relationship shall continue after death. The human heart longs for it, and the God of heaven has revealed a way whereby it may be secured. 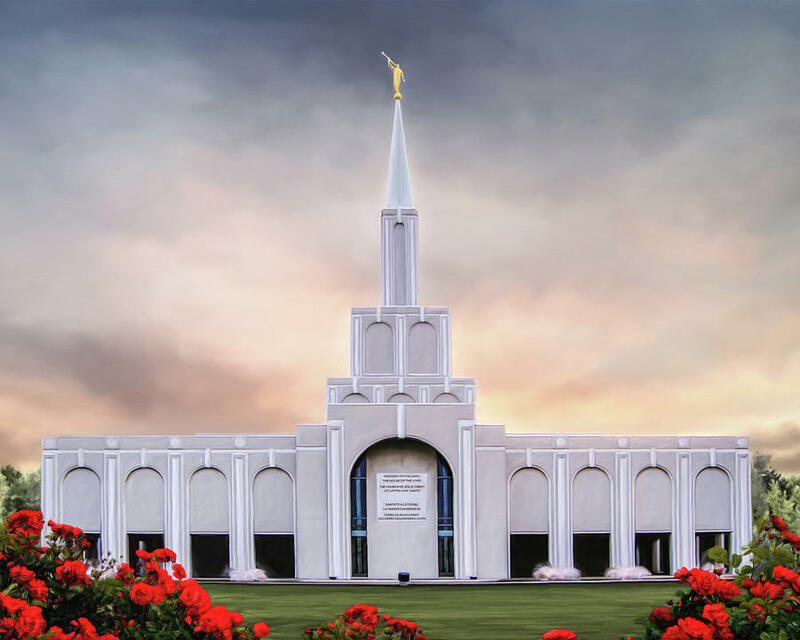 The sacred ordinances of the house of the Lord provide for it” (“Why These Temples?” Liahona or Ensign, Oct. 2010, 24). I am filled with immense gratitude for the blessings of being sealed to my husband in the temple. As we strive together to live according to the commandments and covenants, our relationship and love toward one another continue to grow stronger and that love will last through the eternities with my children. The following video was edited from a General Conference address by President Russell M. Nelson. Here he speaks to us about how the proclamation on the family helps us realize that celestial marriage brings greater possibilities for happiness than does any other relationship. To watch or read the entire address visit churchofjesuschrist.org.